When they talk about the average consumer, they are talking about me. Because, despite the fact that I think I know all the tricks, they still manage to trick me. And when I say they, I’m talking about Tesco (and Primark). I mean, they (I was going to write it with a capital T but it looked really weird) only really have one tactic, and that’s to have all of the trending products at that time but at far lower prices than their competitors. I am always telling people that certain snacks are ‘trending’ and they always look at me like I’m a freak. Surely, they probably think, people — referring covertly to themselves — aren’t stupid enough to be so influenced on what they put in their mouths. And if you are one of those people who is shocked by my theory on trending foods, because you genuinely aren’t enticed and brainwashed by the savoury thing of the moment packaged in plastic, seemingly covered in hungrymones, then I salute you (I would reward you with a bag of macadamia nut cookies but that’s a persisting trend so you wouldn’t like it). Strawberry pencils: diabetes coated with heart attack. 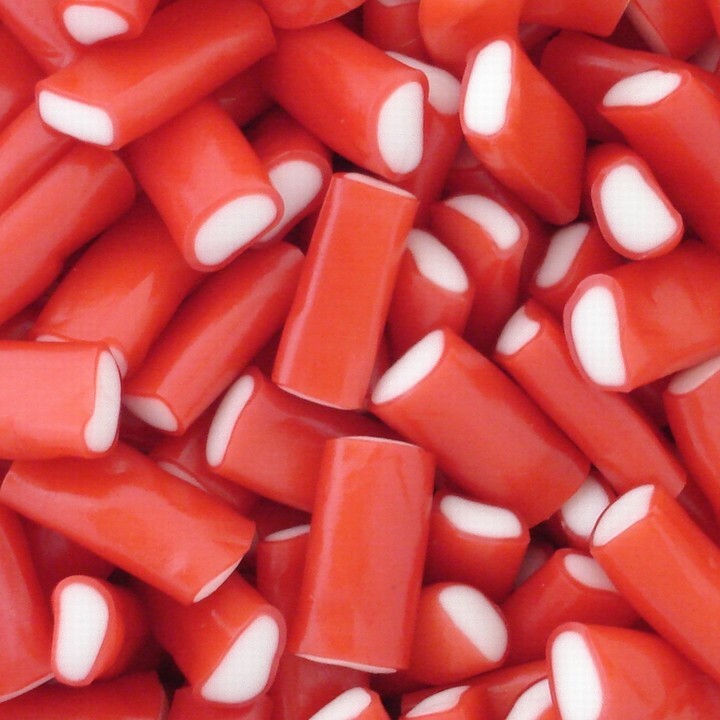 (1) Strawberry pencils — sweet, chewy, strawberry cylinders filled with creamy white, processed sugar on the inside aka sugar covered with sugar. My first bag of strawberry pencils was about the size of my hand, made by that mystery company that produces all ‘bespoke’ Off License sweets, and was purchased in the corner store (which was not on the actual corner) opposite to the council estate on which I was living. That store was practically my grocery and as strawberry pencils were only 35p each, I enjoyed myself a daily bag or two for some weeks. I praised my corner store for such sweet genius, until I discovered a larger, much larger, bag of strawberry pencils in Poundland for only £1. Of course I bought it, all 300g of it, and ate it all. YES. How dare you judge me. Yes, I admit it, my cellulite is not just a result of my aging. Anyway… I then saw that there were Sainsbury and Tesco-branded strawberry pencils which then meant that I had a very varied choice. From high-ish quality Sainsbury stuff, for which the contents didn’t rub off onto the package or your skin, for a few pence more, the most accessible corner shop stuff, or Tesco’s throw it in your face stuff. As you can imagine, though I hope you can’t, I saw this trend out for some months, until I went into a red-sugar comatose. That was two years ago. 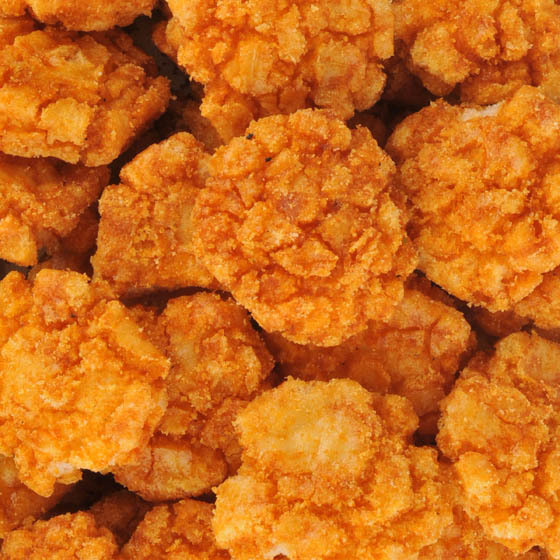 No it’s not popcorn chicken, I swear! (2) More recently, and I sadly can’t identify who started it, mini chilli rice crackers were trending, and still are. I first had a substantially-full bag of them for 69p from Holland and Barrat, the healthy-food store where I go to buy rice crackers. Let me tell you, they are moreish. And what a perfect opportunity to use what I think is one of the coolest non-word words. Moreish. Like buy a bag at breakfast and one at lunch sort of thing, or skip meals just so you can replace them with a 500kcal bag of these adorable, crunchy, orange things. They are like sweethearts but made of rice, without any writing on them and not smooth. So I was like BAM new favourite snack, mine all mine. Until I saw my colleague eating them, and then the rest of my colleagues ordering them at our local pub, and a Waitrose version, and a Sainsbury version AND a £1 Tesco version, though I must say the Tesco bag is disappointingly empty. Anyway, everyone is eating them, every bar is stocking them and every grocery is competing with packaging and price. So I am never less than 100 metres away from a packet of chilli rice crackers. Bagged Popcorn. The ultimate snacker jacker’s dream. (3) Finally I was recently given some popcorn in a bag which was produced by a pair of guys who won funding in Dragon’s Den, one of my favourite shows — called Love Da Popcorn. Their selling point is the packaging and the story of their company that they write on the back of it. The design is classic but cute, making it a bag of popcorn you are proud to own and don’t know what to do with after as you don’t want to throw it away. So you just keep it and fill it up with microwave popcorn. But really it is not the same because that almost £2 bag of popcorn has ‘unique’ and ‘hand-crafted’ flavours that you can’t find in the microwavable type. If I was a Dragon I would hand my money over quick! Of course I would fund popcorn in a bag. It is a low-calorie snack which is moreish but guilt-free, as they say. And many a time I’ve popped popcorn at work only to disturb the entire office with the saturating smell and start a conversation about my eating habits. ‘Popcorn for breakfast? 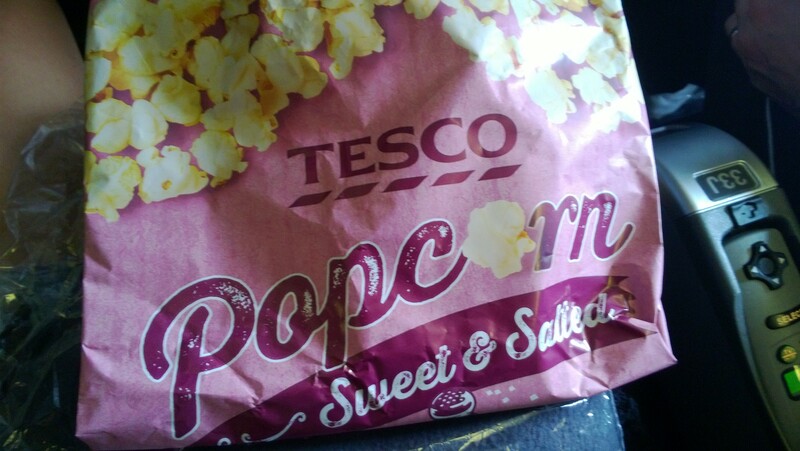 Whhaaatt?’ Anyway, point is, on my way to the airport I picked up what is the newest addition to the Tesco shelves… Wait for it… Bagged popcorn! In five different flavours!!!! For only 91p. Can you believe i am on my way to Miami and all I can think about is getting back to London so I can gorge on popcorn? AND AND AND they have not only hopped the bagged popcorn trend train but they have also stolen the packaging idea. The font and design is so similar. Tesco has NO shame, seriously. Copy it and sell it for cheaper. Their slogan shouldn’t be ‘every little helps’. Instead it should be ‘every big idea ripped off and sold cheaper’. Ok that was lame but I couldn’t think of something shorter. Point is, I know your tactics you giant corporations that churn out stuff and squeeze eager entrepreneurs out of the market with your ‘stack ’em high, sell ’em cheap’ causing me, if I am ever a Dragon, to tell potential fundees that their product just won’t survive in the supermarket world. Though I would really enjoy tasting all of the food ideas. Yum. Despite uncovering this conspiracy, I am still going to be privy to food trends and smart rip-off packaging for the rest of my life, mostly because I don’t predict that daily £2 bags of popcorn will ever fit in my budget, or not in the near future. Meanwhile, I will continue to be the average customer and prove these monopolists correct every time. My brain is complex but my stomach is simple (though my digestion isn’t HA). C’est la vie! !